Searching for garden ideas to grow or expand your garden? Consider adding this garden obelisk. It not only adds height and style to any garden, its serves as a trellis for growing plants and flowers. 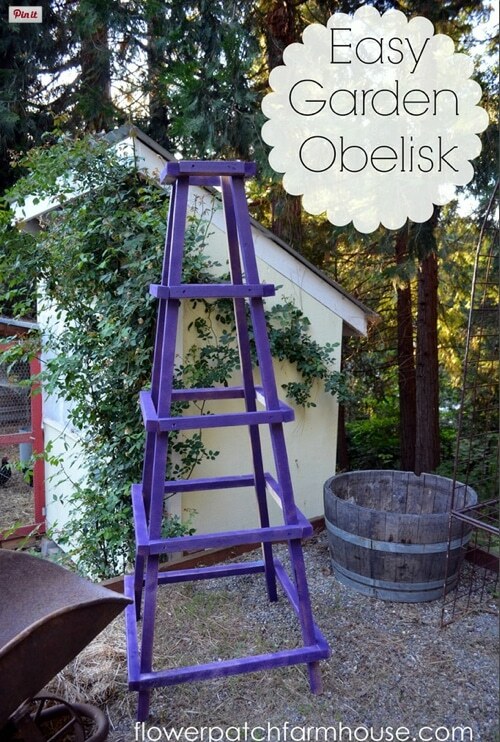 Over at Flower Patch Farmhouse, they share easy-to-follow instructions to build your own garden obelisk.